Keeping everyone occupied and having fun while on vacation can be difficult. Children are easily bored and parents need to find fulfilling activities for them. Fortunately, inland lakes provide a host of activities for families while on vacation. Freshwater fishing influences the management of clean water, healthy aquatic habitats, and fish populations. After peaking at more than 64 million participants in 2007, a decline occurred. These numbers have now been hovering at 55.5 million since 2013. Despite static participation, gross fishing license sales increased more than $48 million in the same time period. Recent increases in licensing fees may have led to the reduction in participation. Luckily, fewer anglers mean more open waterways, coves and fishery populations for those that still enjoy the sport. Many inland lakes have hidden coves and secret beaches waiting for boaters to happen upon them. These recreational gems provide a level of privacy and safety that is not usually found at public locations. Small islands can help parents corral children and pets and your party is a lot less likely to be interrupted by strangers. Furthermore, many of these locations are readily available because they are only accessible by boat. Whether your family is taking advantage of local boat rentals or bringing your own, towable toys are always a hit, especially among children. With proper safety precautions, such as life vests, traditionalists can still waterski and kneeboard. Towable inner tubes work well for the younger members of your party and provide them with a ton of fun. The more adventurous can go wakeboarding or take advantage of the new Sky Ski that was recently introduced. With easy access to more private, tucked away locations, boaters have more options for camping on their local lakes. 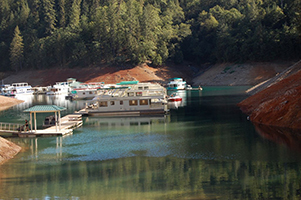 While there are plenty of lakeside resorts and developed campgrounds to choose from, many families enjoy the seclusion that boat-in campsites provide. 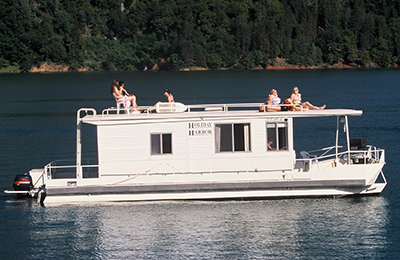 Boat-only accessible sites are less likely to have amenities, such as restrooms, but houseboats and patio boats usually have these features on board. However, it is always a good idea to check the website for the lake’s land management agency in order to determine any closures or other problems that may exist at your preferred location. Families should always keep safety in mind when boating and camping, but these precautions should not interfere with having fun. Boating allows the older generation to relax with some fishing while the teenagers get stoked on towables. With some planning and preparation, your family is sure to have a very enjoyable vacation. What are some other activities your family enjoys while boating?